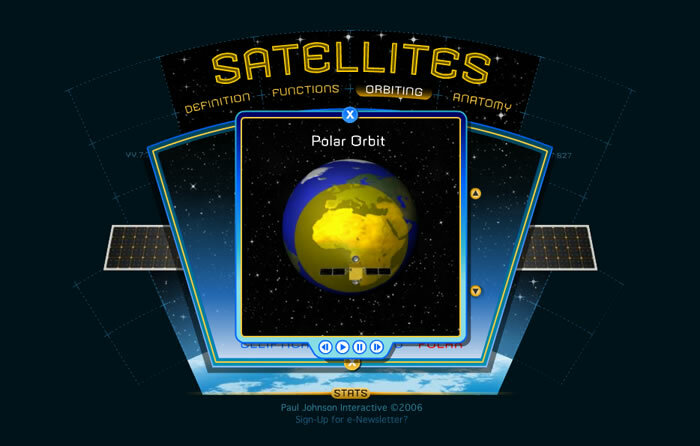 Satellites is an e-learning application that educates the viewer about Satellite Technology. The app tracks a user's time spent in the various sections and saves the info locally. 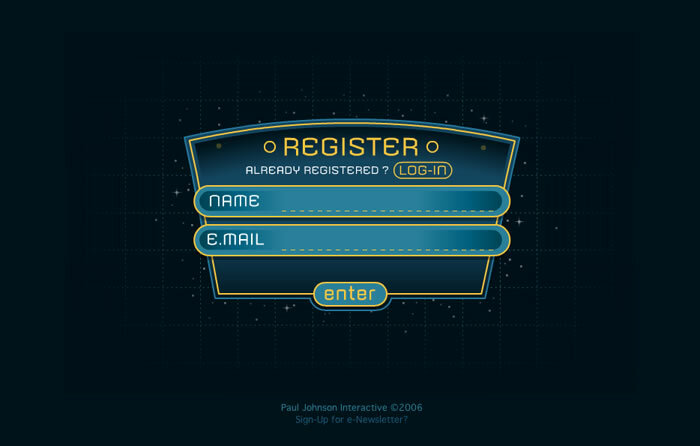 It also uses PHP and mySQL database to keep track of log-in and registration activity. 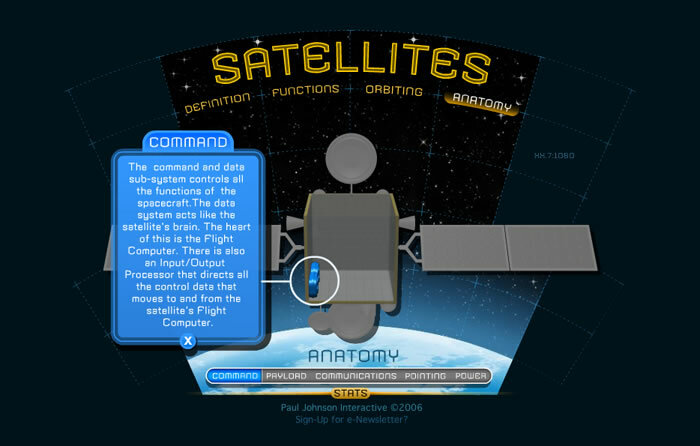 The visual elements were created with 3d modeling software. 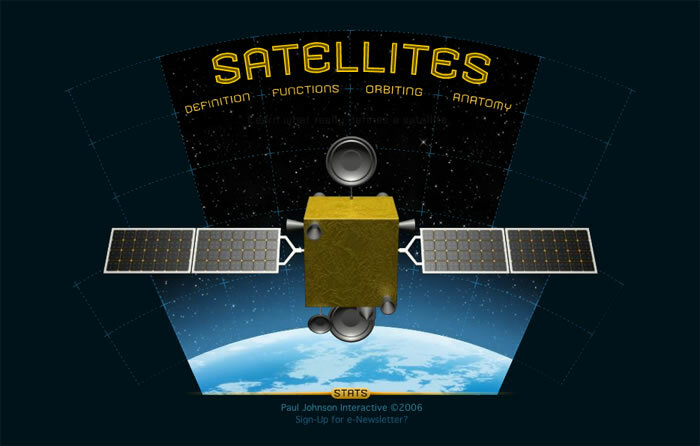 The Intro section's orbiting satellite animation leads to a 'floating in place" posture as auto teaching cycle begins with ambient space sound loop. 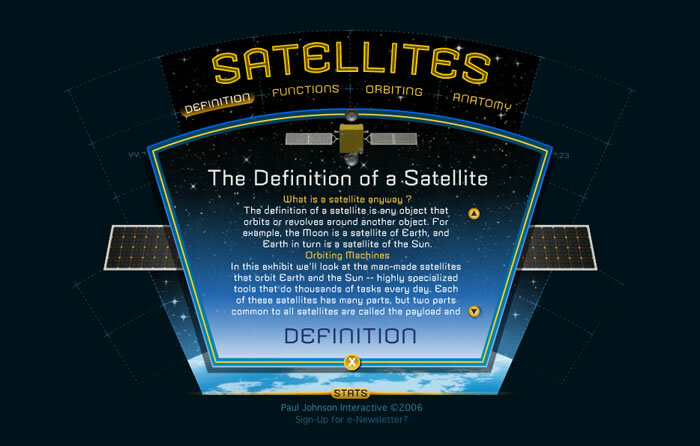 Teaching sections deliver multi-layered content including articles, photos, video animation, and exploded view 3d model to explain satellite technology. 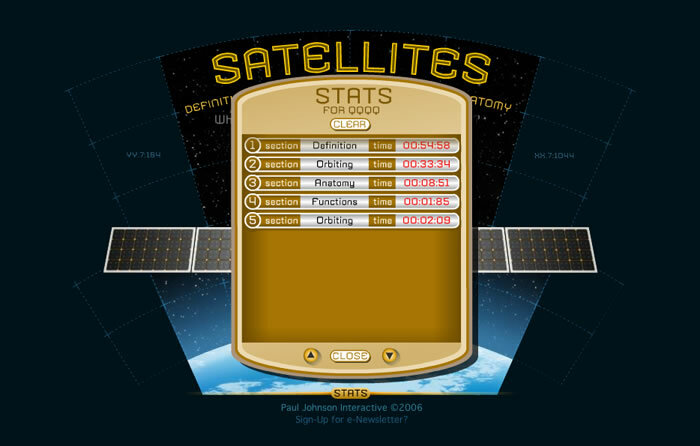 The website is password protected and logs visitors into a SQL database. A local "Flash cookie" keeps track of where and how long a user has spent in various areas of the e-learning application.